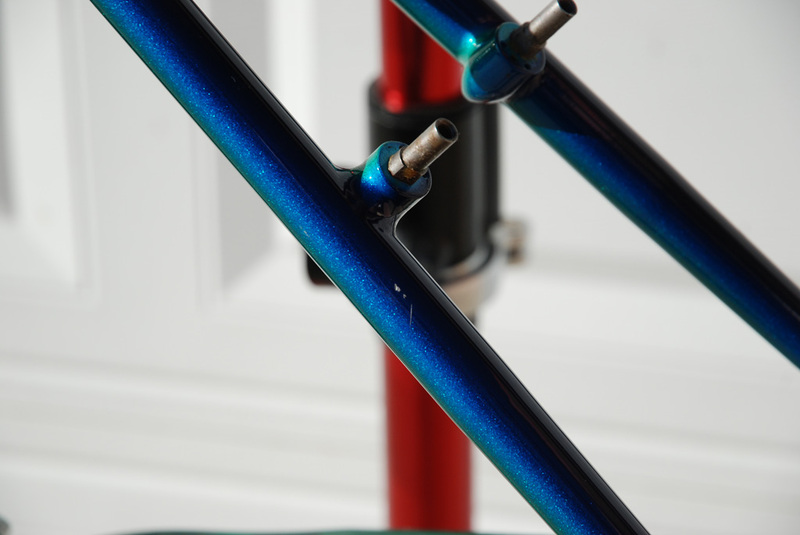 I think the results are nothing short of spectacular given the simplicity of the work and the amount of time invested. 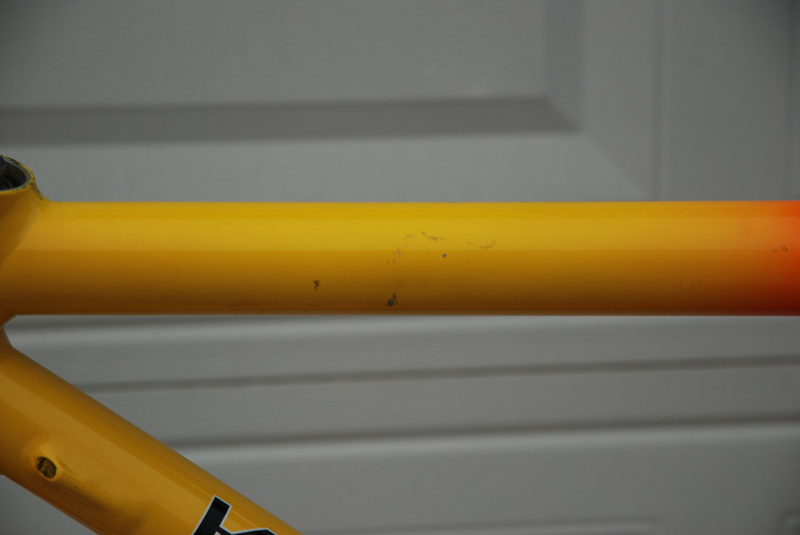 Obviously the work I performed did very little to fix the deeper scratches so those all still remain, but even they look a little bit better. 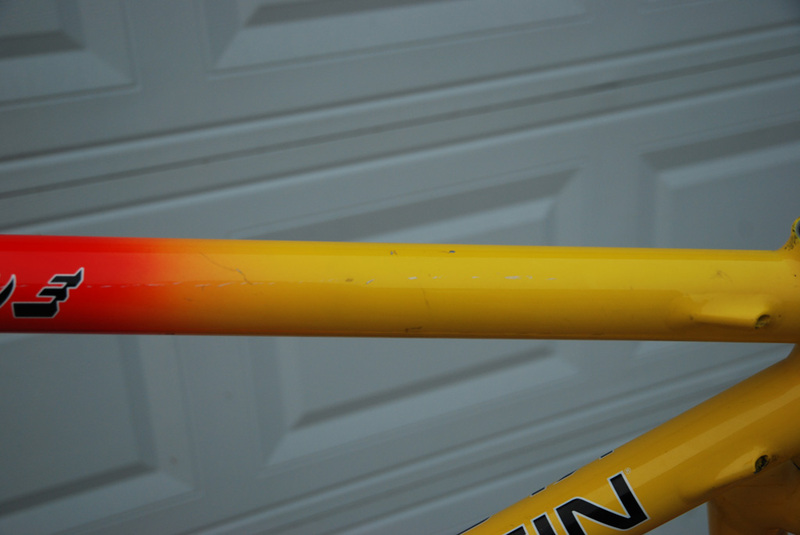 Tomorrow I'm going to have some touch up paint mixed up and attempt to repair some of the deeper scratches. 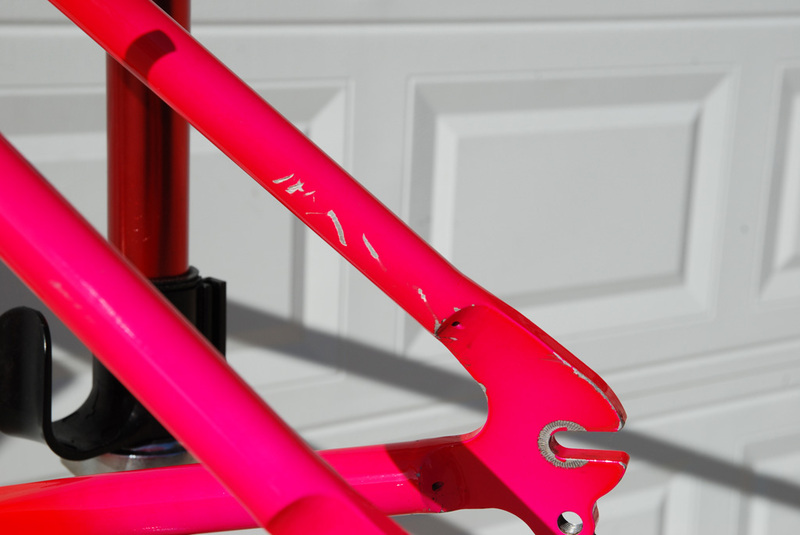 Stay tuned for more progress. 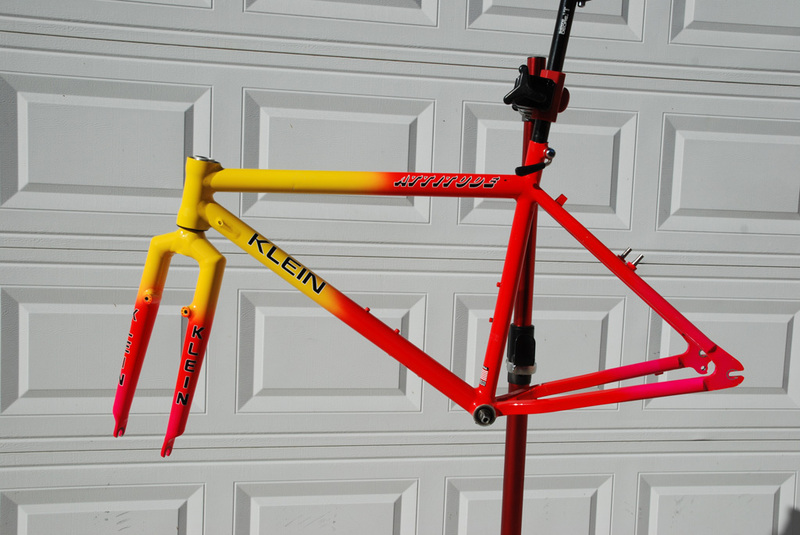 I bought this bike a couple months ago and based on the photos I received it looked like a lost cause and in need of repaint. 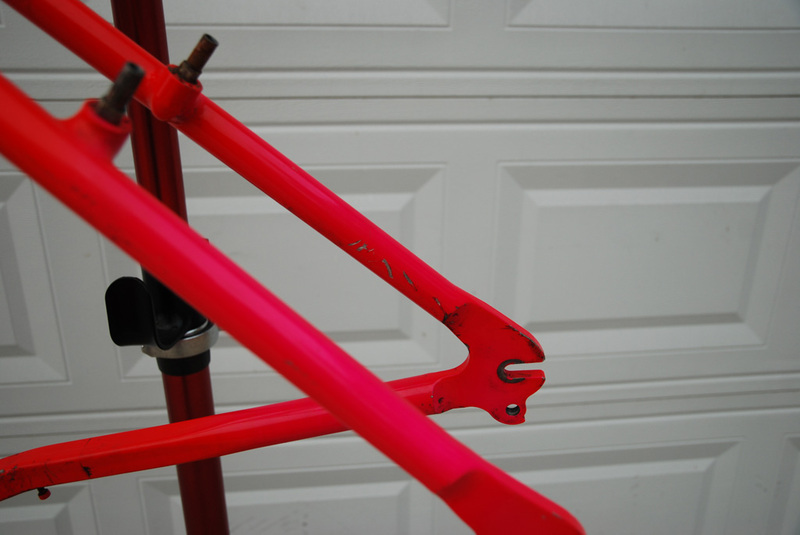 However after receiving and inspecting the frame it turns out to be in pretty good condition and in my opinion just needs some touch up and restoration. 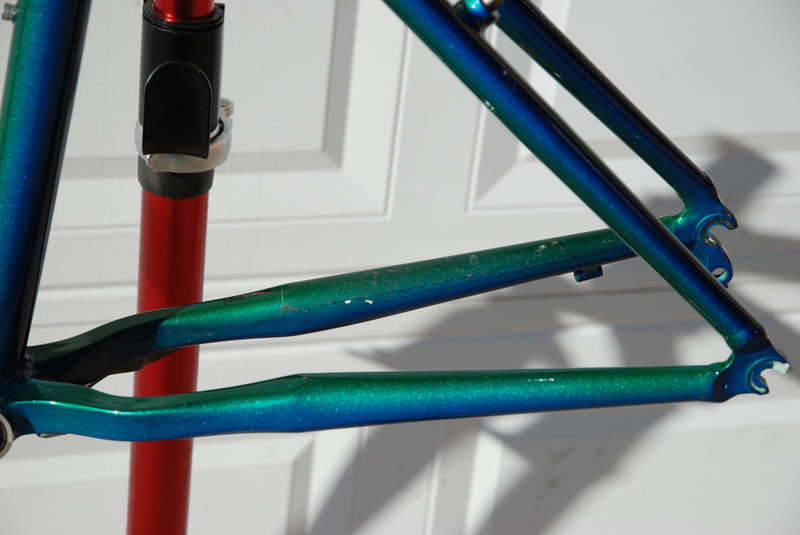 I will try to do most of this work myself and document it here to show how in theory one can do some restorations at home and preserve the originality of these bikes. 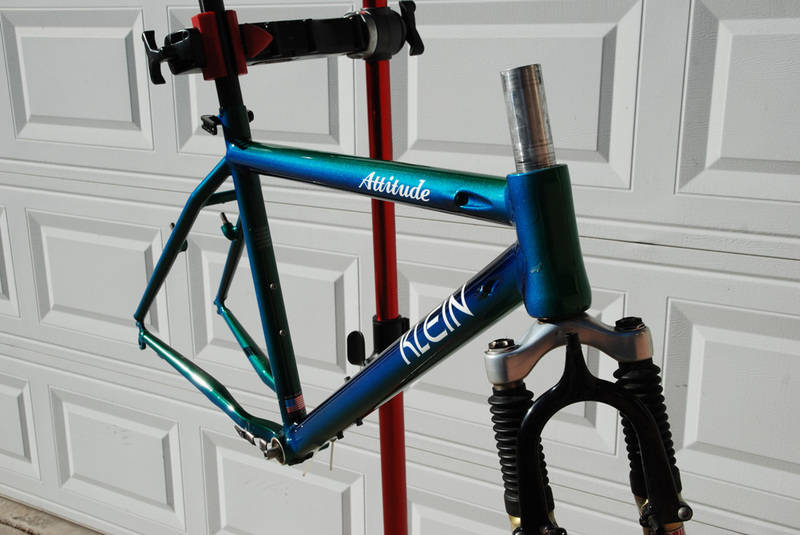 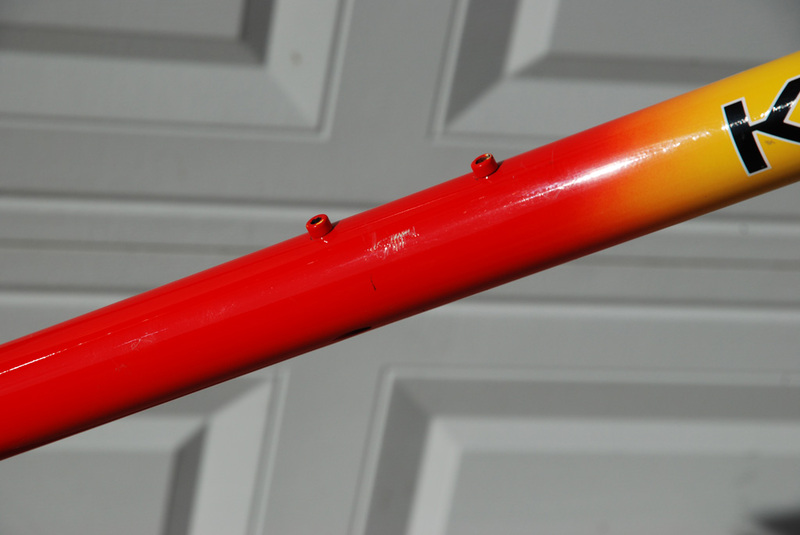 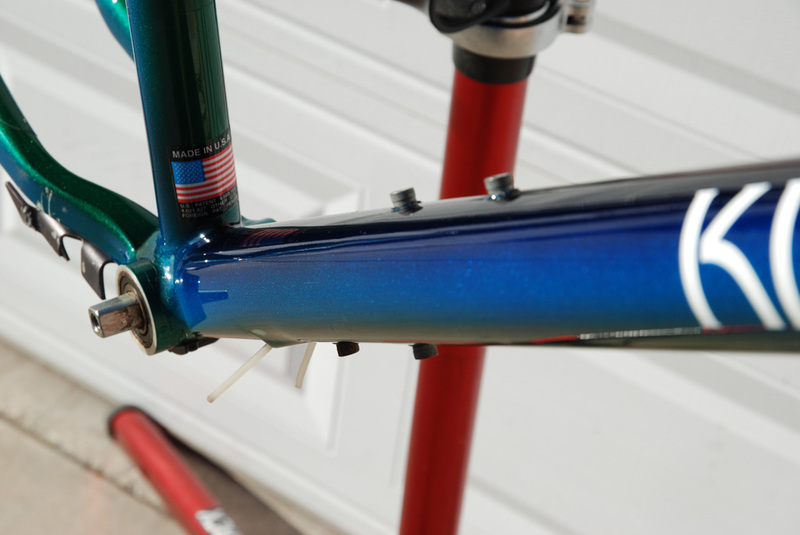 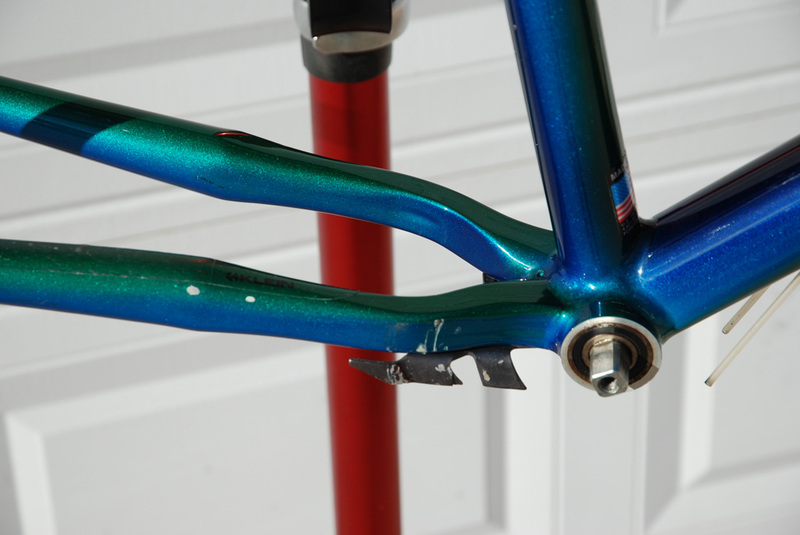 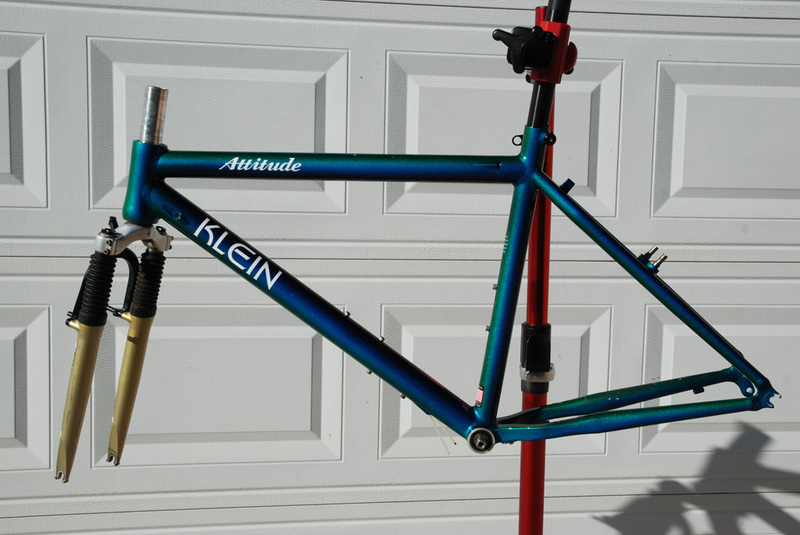 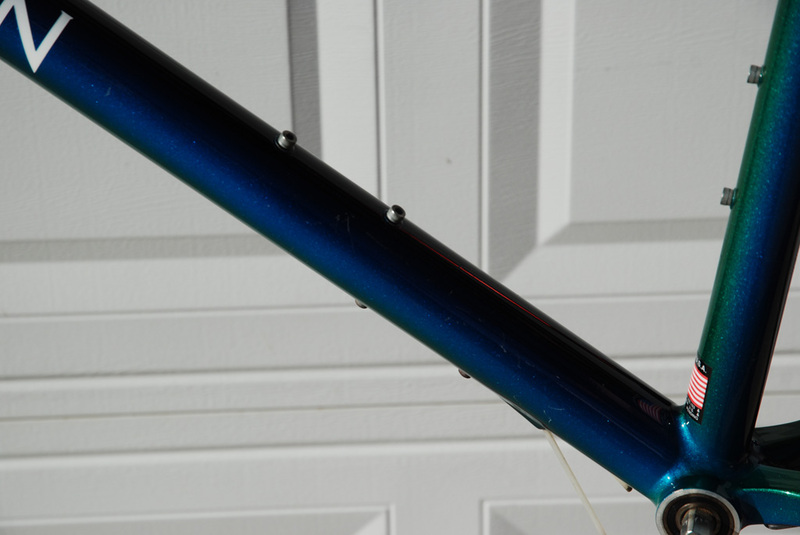 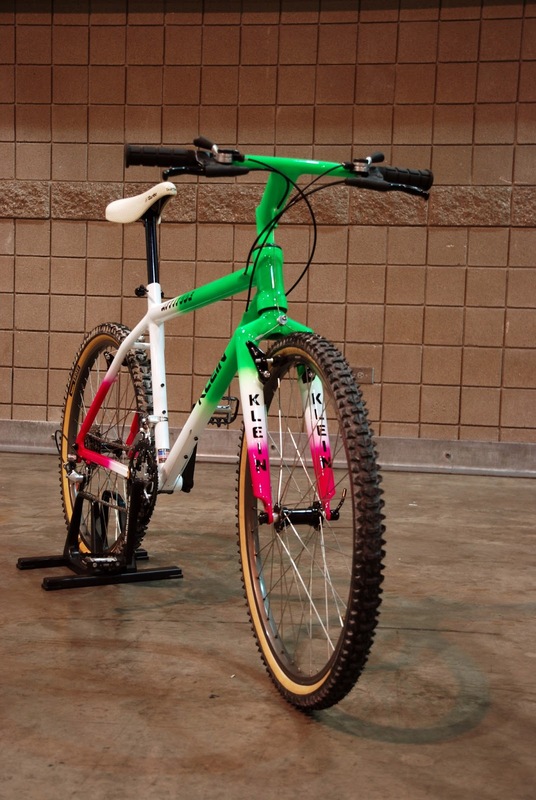 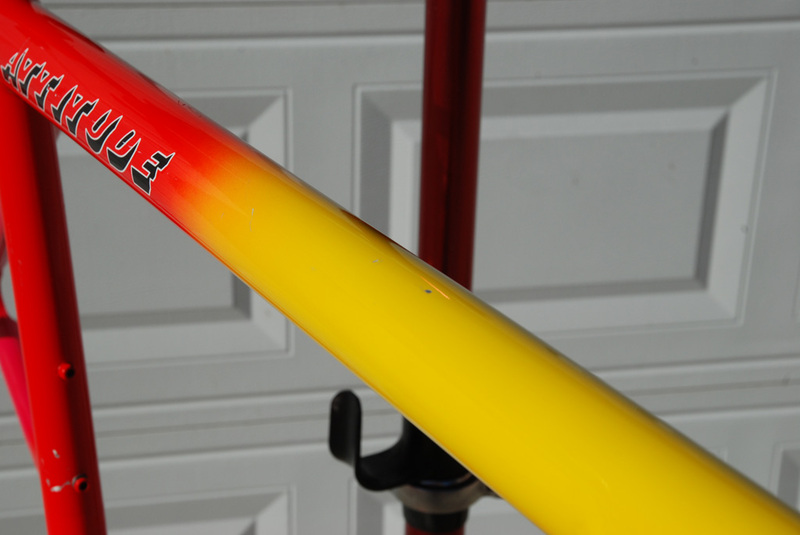 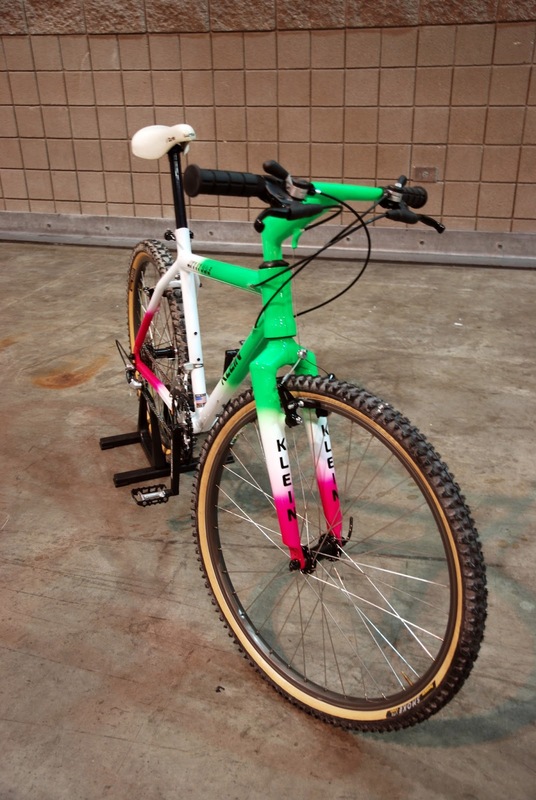 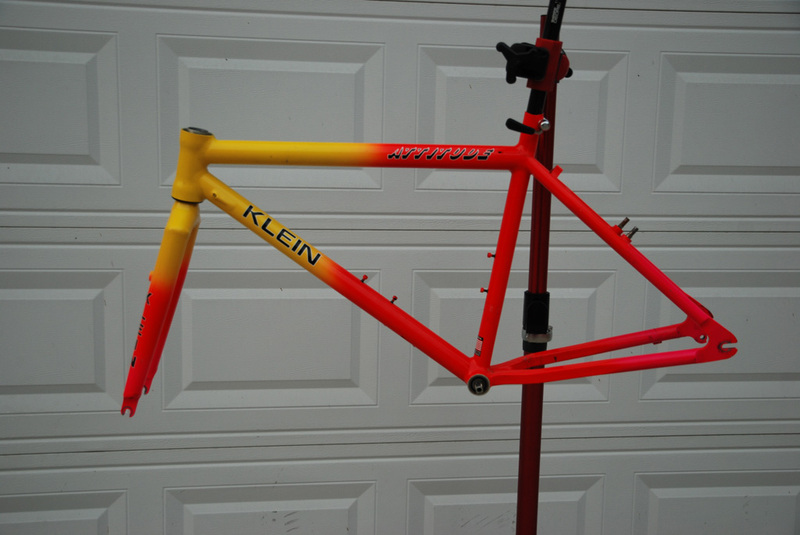 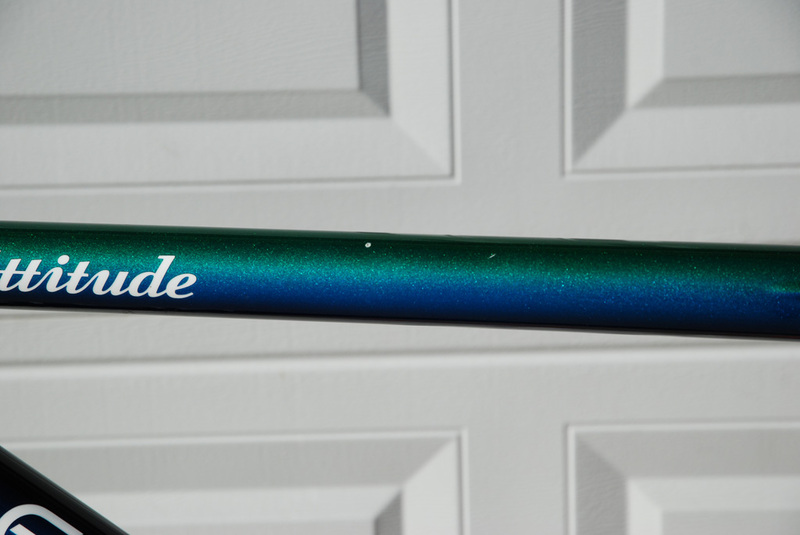 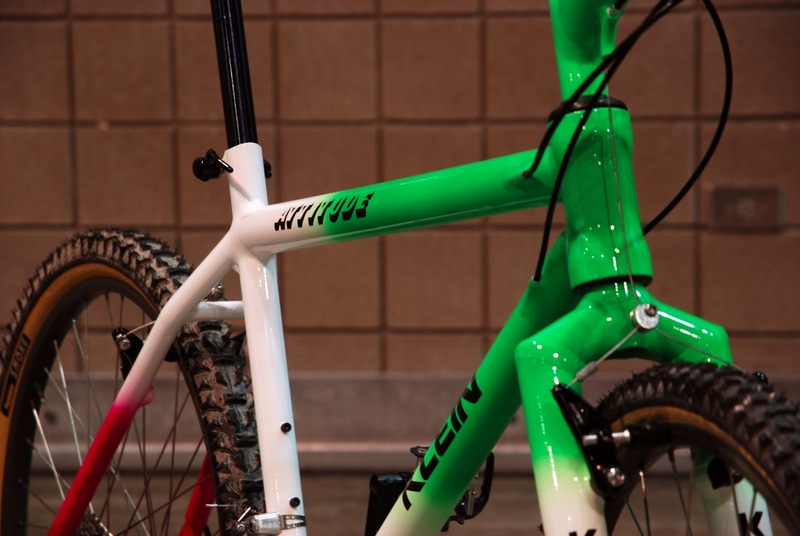 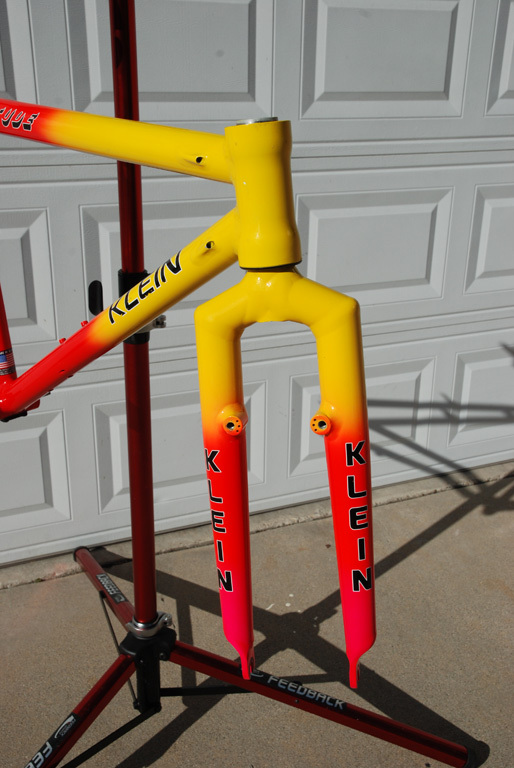 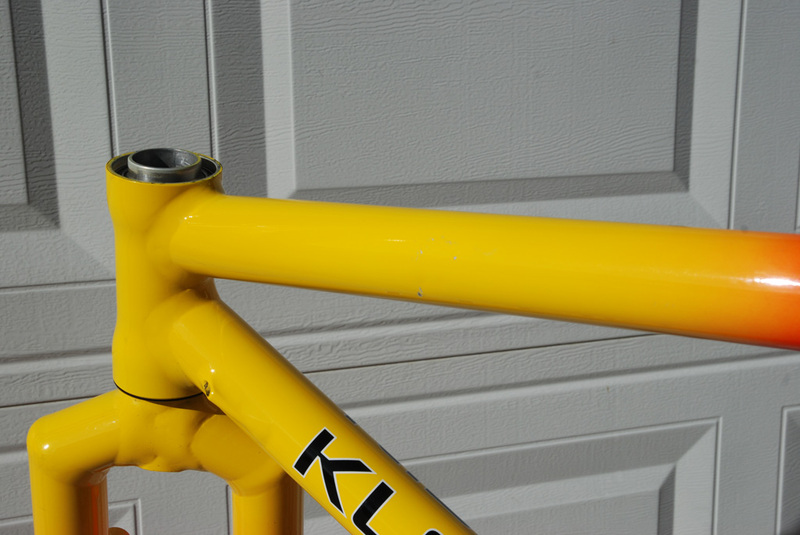 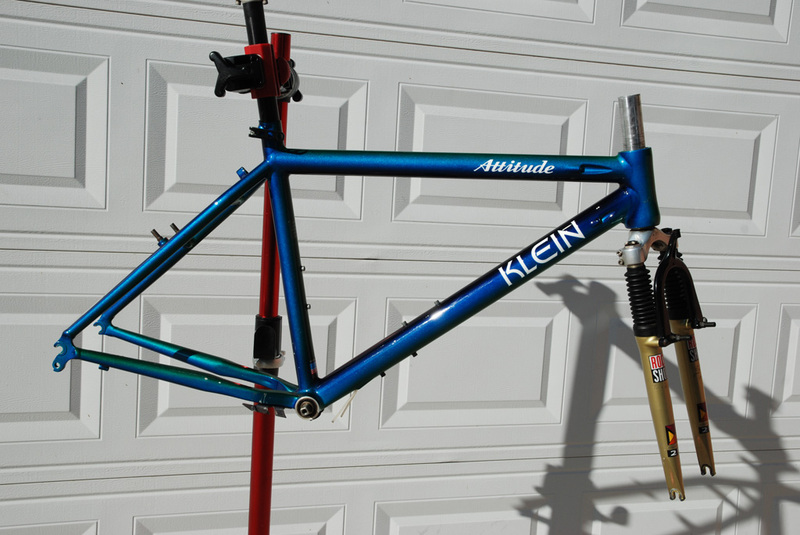 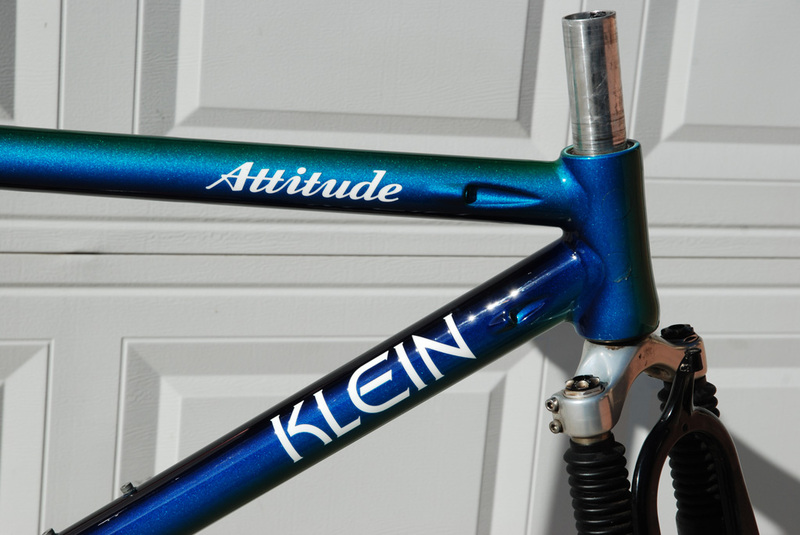 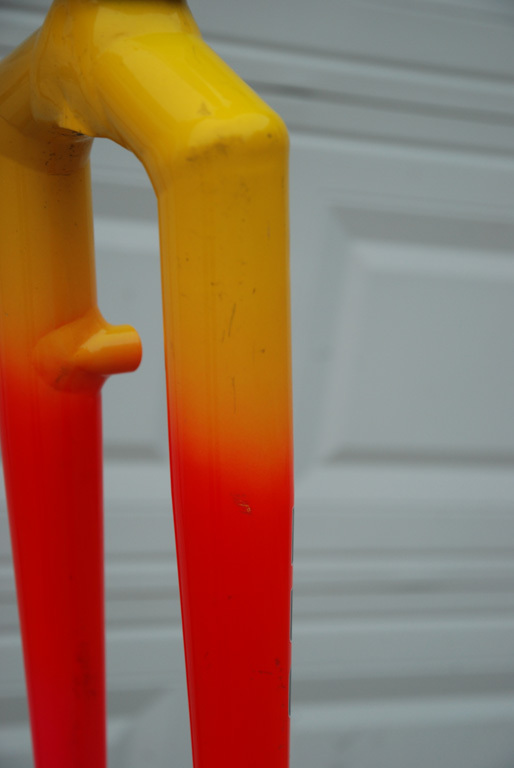 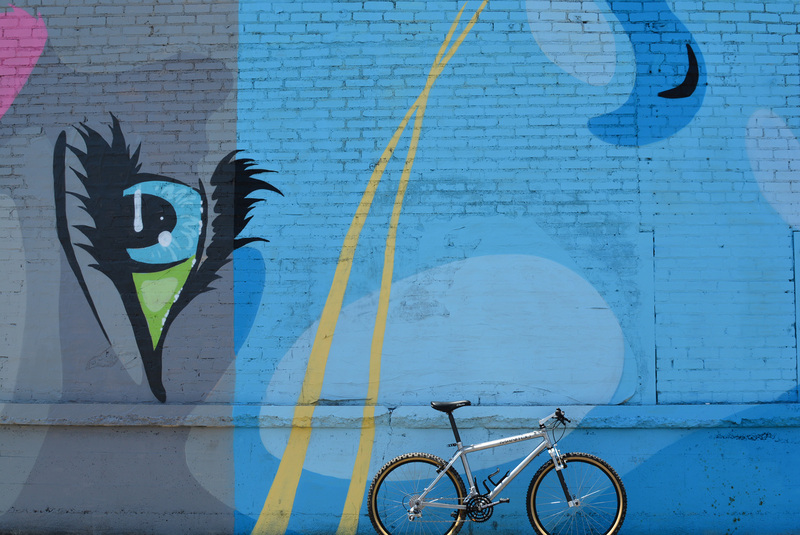 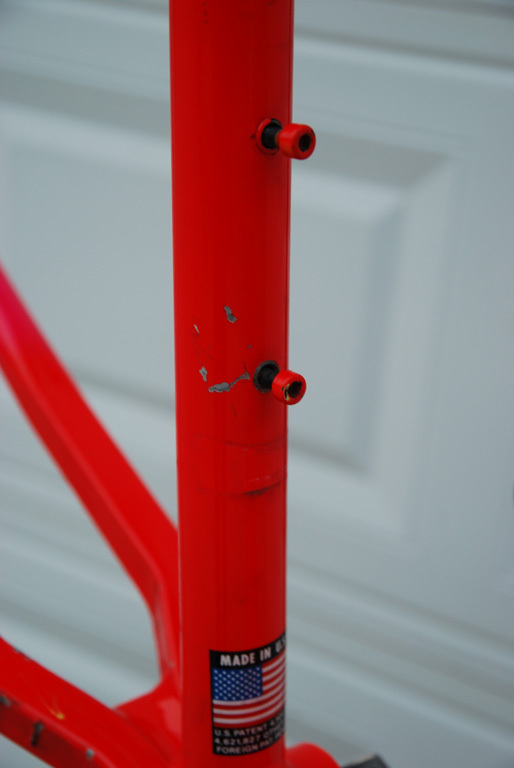 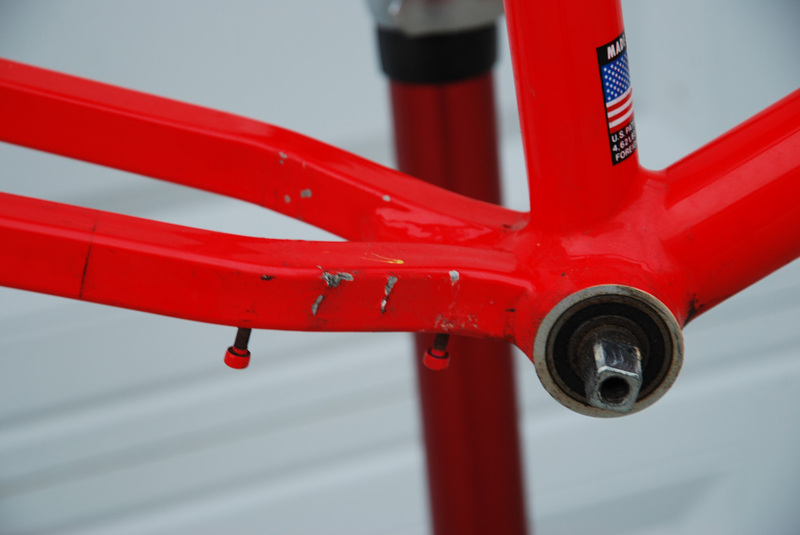 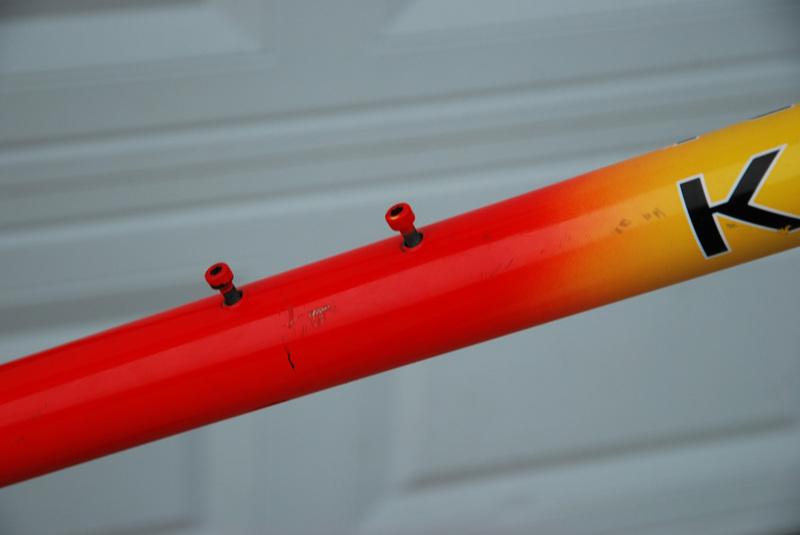 The frame is a 1991 Attitude painted in the backfire color scheme. 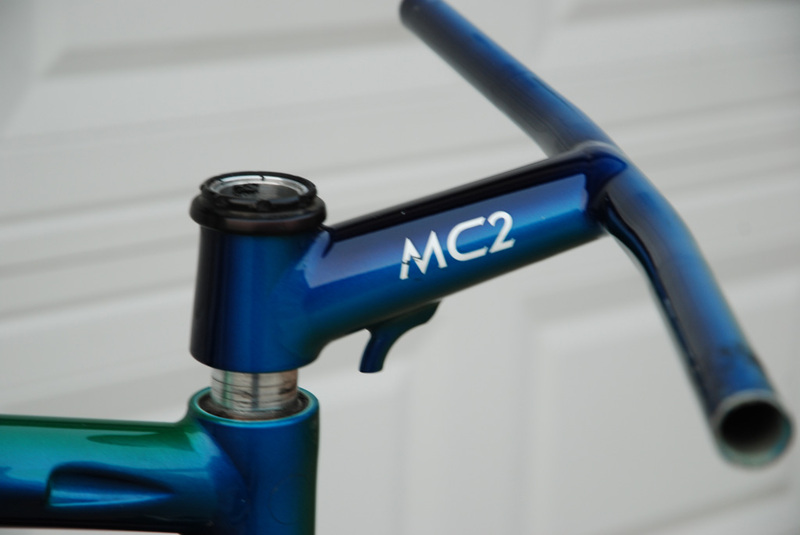 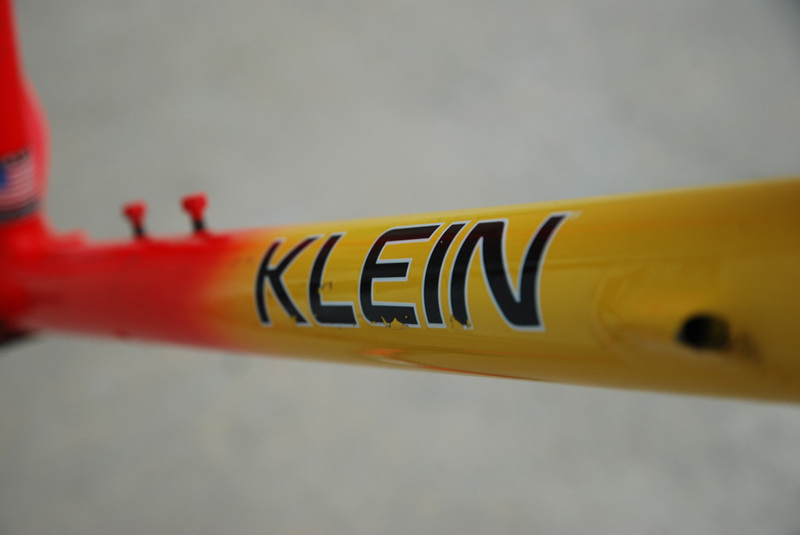 It's complete with an MC1 and box crown fork. 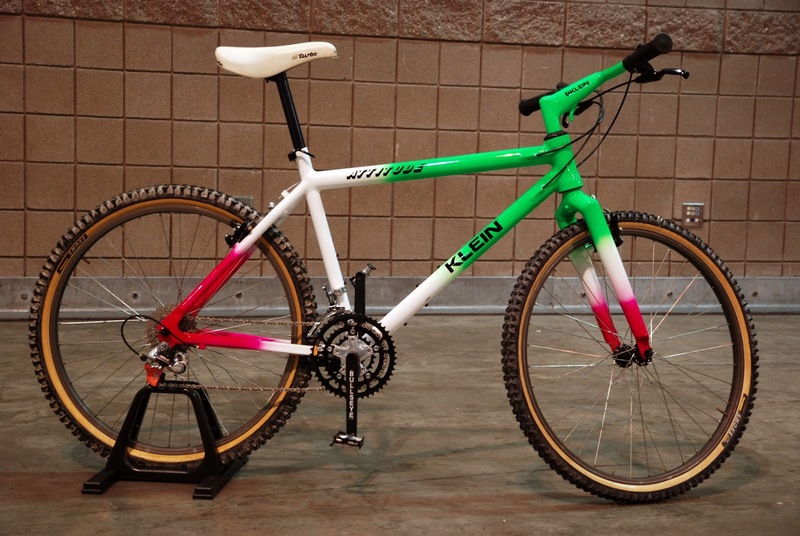 Not too many box crown backfires out there, most of them were painted Team (Dolomite) scheme. 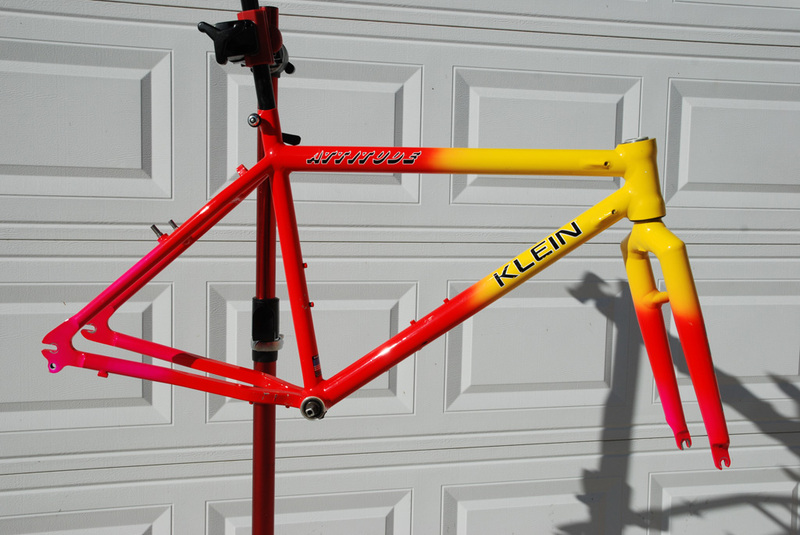 The colors on the frame very nice and bright and there is minimal fading. 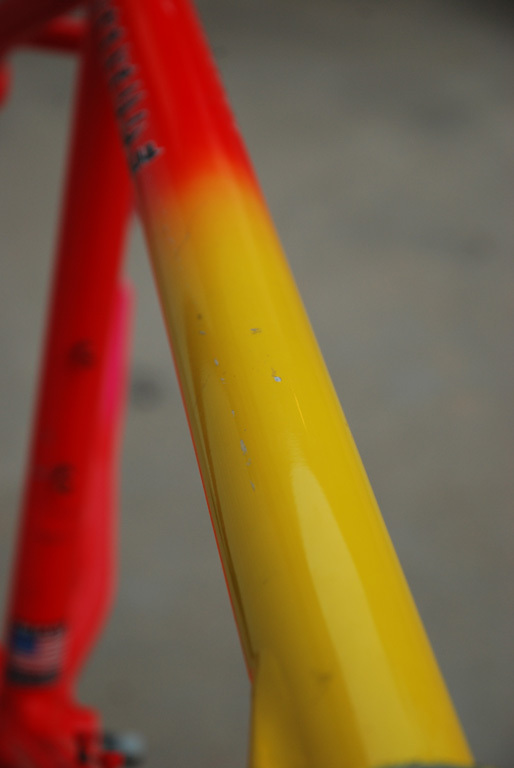 The weakness here is the rather large amount of scratches and chips. 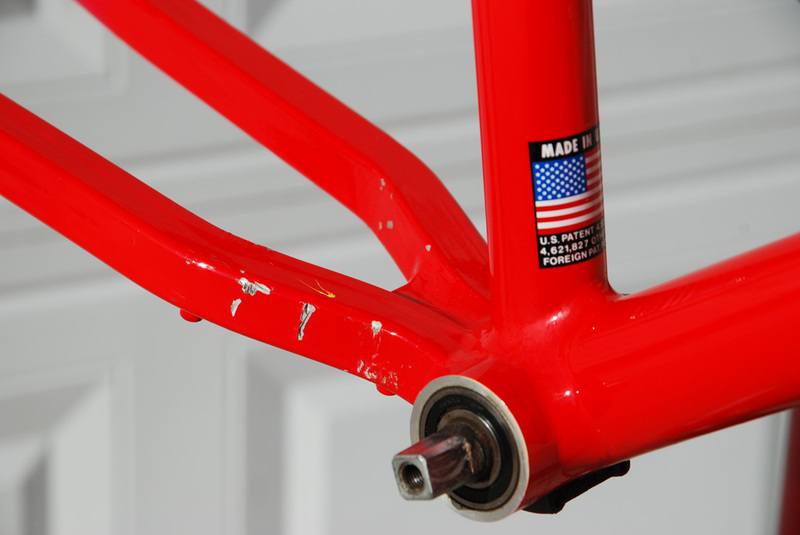 This is what I will attempt to fix. 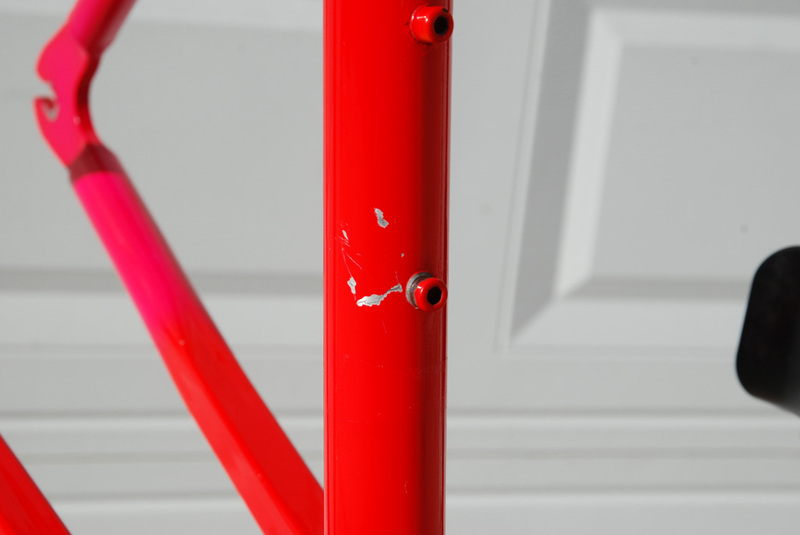 Fortunately the vast majority of scratches are in areas of the frame that are painted in a single color and so easier to fix in theory. 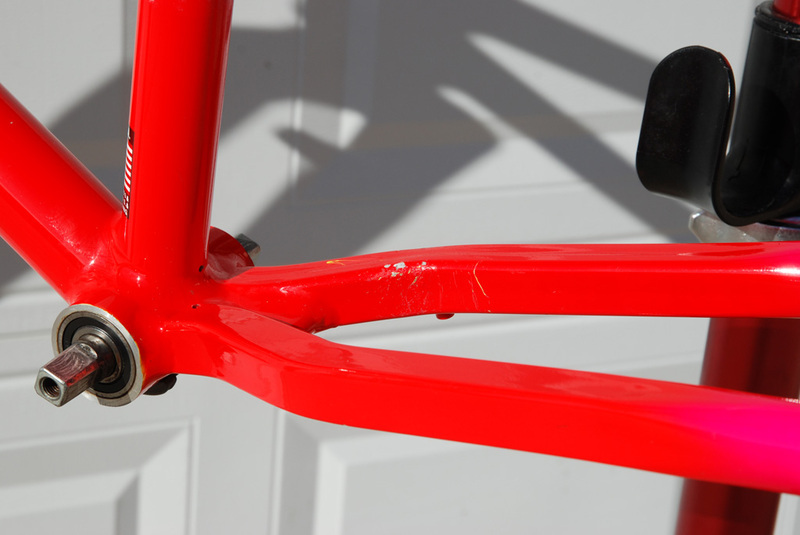 Before I start applying any touch up paint and clear I'll first set off to clean the frame and try to polish out any small scratches to limit the number of repairs required. 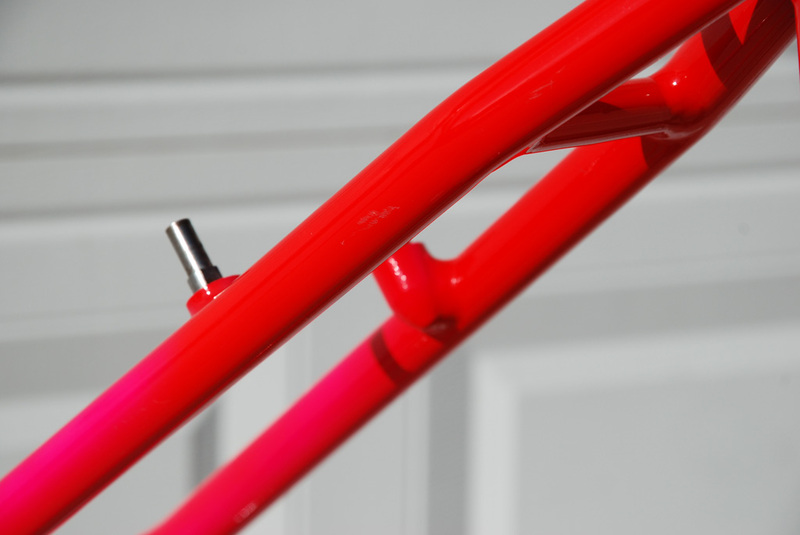 That update coming up pretty soon.